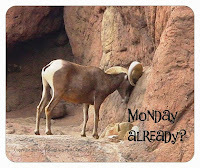 Tucson Daily Photo ~: So true! Woof! Meow! Definitely, yes!k Wild Wendy certainly would love to grace Tucson with her presence this coming winter! !